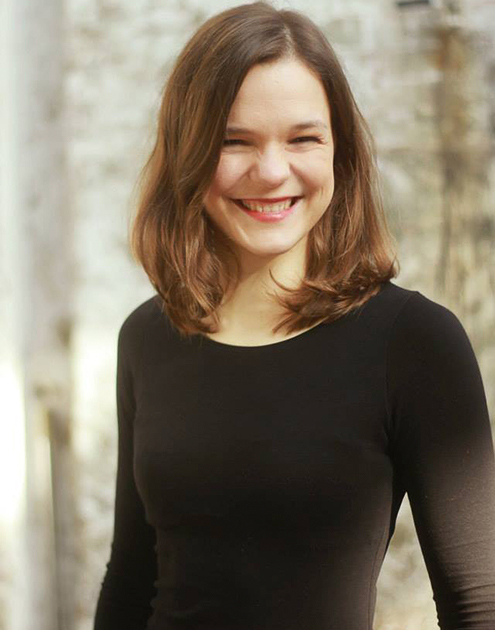 In 2007 Lydia began her bachelor studies with Professor Ivan Koval in the Hochschule für Musik Franz Liszt Weimar (Germany) and chamber music with Professor Claudia Buder. In 2011 she had recieved the scholarship Carl Müller-Hartung Thyll (Swiss Foundation) to study at the Escola Superior de Musica de Catalunya (Barcelona ) with Prof. Iñaki Alberdi. Currently she did postgraduate studies at the same school under the instruction of Prof. Alberdi. In 2015 she finnished her master studies in the Hochschule für Künste Bremen under the tuition of the Professor Margit Kern, and receives support from the scholarship Deutschlandstipendium. During her studies, Lydia received master classes with important and renowned teachers like: Matti Rantanen, Teodoro Anzellotti, Primož Parovel, Hugo Noth and Max Bonay. In 2010, along with the cellist Marianne Gäbler, awarded the first prize at the International Accordion Competition in Beltinci (Slovenia). In 2011, she performed a concert of Jacques Brel music with the singer Sonia Theoduriduo and the Orchestra Mobile in the theater Schauspielhaus Köln. She also played in other orchestras like the Orchestra of the Mainfranken Theater Würzburg and with the Orchestra of the University of Leipzig, participated in the premiere of the orchestral piece Höhlungen by composer Karin Wetzel. In 2012, she won the first prize at the Accordion Festival Nordhorn. Recently, she participated in concerts from the ensemble New Babylon Bremen, In December 2013, she performed in the Komponistenforum Osnabrück the piece “Quartett” from Rebecca Saunders with important musicians like the clarinetist Theo Nabicht . As a solist, she performed Astor Piazzola´s “Años de Soledad” with the choir Coro de Madrigalistas de la Universidad Catolica under the direction of Antonio Paz (Peru).